Sustainable lifestyles remain a touchy subject, often avoided in decisions and actions towards a sustainable future. A new report makes the argument that changes in our consumption patterns and lifestyles are inevitable, and does the numbers crunching to demonstrate the magnitude of potential changes in lifestyles needed in order to achieve the 1.5-degree celsius aspirational target of the Paris Agreement on climate change. 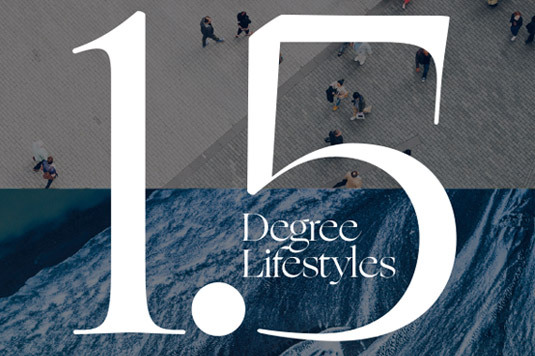 The technical report ‘1.5-Degree Lifestyles: Targets and options for reducing lifestyle carbon footprints’ demonstrates that changes in consumption patterns and dominant lifestyles are a critical and integral part of the solutions package to addressing climate change. The report fills a gap in the existing research by establishing global targets for lifestyle carbon footprints, examining current consumption patterns and their impacts, and evaluating potential reduction impacts of low-carbon lifestyle options. The results of the analysis are striking, showing in some cases the need for reductions of over 80% in greenhouse gas emissions (GHG) by 2050 from today’s lifestyle intensity. Reductions will be necessary not only in developed countries; several developing countries will also need to reduce their average per capita emissions from current levels – a significant challenge where the basic needs of large parts of their populations remain unmet. However, as also identified in the report, there are clear opportunities for much needed changes, and these would require that actions start as soon as possible. Examples include meat and dairy consumption, fossil-fuel based energy, car and air travel. The report proposes globally unified per capita targets for the carbon footprint of household consumption for the years 2030, 2040 and 2050. It estimates current average carbon footprints of Finland and Japan, as well as Brazil, India, and China, focusing on the comparison of the level of physical consumption to be both comparable to global targets and compatible with household-level solutions. It also identifies potential options for reducing lifestyle carbon footprints and assesses the impact of such options in Finnish and Japanese contexts. It concludes with suggestions and implications in terms of how to proceed towards lifestyles compatible with the 1.5 °C target. As the report only covers the countries named above, similar studies can be expanded to other countries using the methodology, data sources, and results of estimation detailed in the report. The “1.5-Degree Lifestyles” project was conceived as part of the Absolute REDUCTIONS in collaboration with the Hot or Cool network of scientists and practitioners, and the research for this report was conducted by IGES, Aalto University, and D-mat and financially supported by the Finnish Innovation Fund Sitra and the KR Foundation. Mariana Nicolau, CSCP Project Manager, contributed to the report as a reviewer. You can download the report by clicking here. For further questions, please contact Mariana Nicolau.